It was an exciting week for NASA engineers, as they anxiously re-started Curiosity Rover’s drilling program after a one year pause. Thanks to a lot of creative thinking, NASA was able to overcome the most recent malfunction, allowing the rover to get back to drilling Martian rocks — a vital part of its science mission. That tiny hole is a lot more important than it looks. Credit: NASA/JPL-Caltech/MSSS. Ever since Curiosity touched down on Mars, it faced problems with its drilling machine. Firstly, a bond in the drilling mechanism threatened to shortcircuit and fry the whole rover. Even after Curiosity finally started drilling in 2013, something always seemed to come up. In late 2016, for instance, the drill’s feed broke, preventing the boring tool from moving up or down, and essentially rendering it useless. Drilling rocks on Mars is part of the rover’s fundamental science mission — analyzing geochemistry in search for signs of past or present life. Fortunately, the rover is now back to drilling. NASA engineers had to think outside the box to make everything work again. 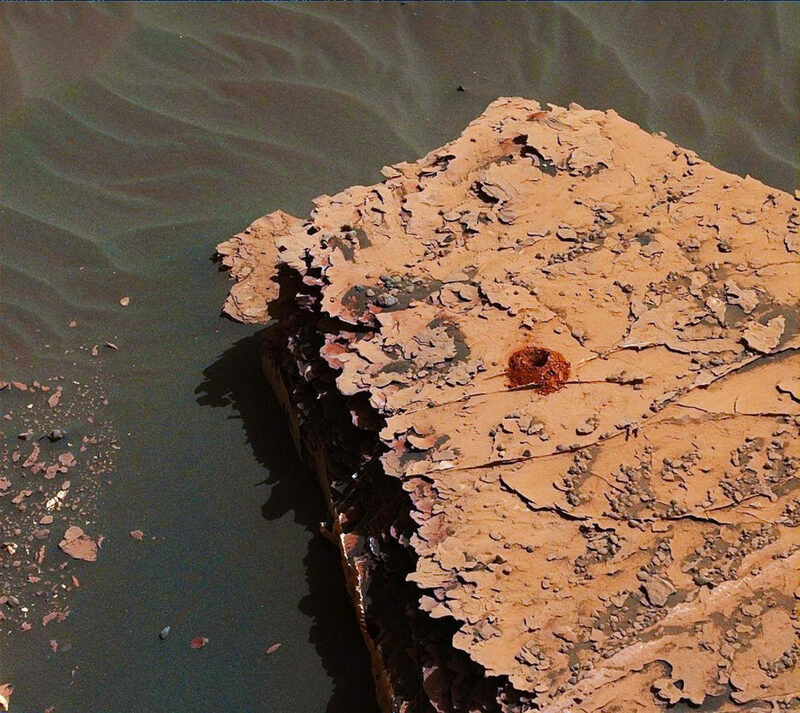 Earlier this year, NASA showed that Curiosity could lower its drill onto a rock and spin the drill bit. However, the drill lacked the percussive motion (the jackhammer punch) necessary to bore into rocks. But with impressive ingenuity, the team developed a new drilling technique which uses the rover’s extended arm to drill in a freestyle manner. The technique is called Feed Extended Drilling (FED) and involves keeping the drill’s bit extended out past two stabilizer posts that were originally used to steady the drill against Martian rocks. Now, Curiosity can drill using the force of its robotic arm, much like a human would while drilling into a wall at home. “Those are two vital inches of innovation from 60 million miles away. We’re thrilled that the result was so successful,” said Steve Lee, Curiosity Deputy Project Manager of JPL, in a statement. Curiosity isn’t out of trouble just yet though. While the percussive technique works beautifully, NASA still has to figure out how to deliver dusty rock samples to the rover’s two internal mini-labs that analyze the chemical makeup of samples.